Miss Universe 2018 candidates have started preparing for the pageant which will take place on December 17, in Bangkok, Thailand. One of the most highly-anticipated segments is the display of the national costume of the 94 candidates. Yuumi Kato's national costume for the Miss Universe pageant was revealed on November 20. The 22-year-old model-actress will transform into the iconic anime character Sailor Moon. 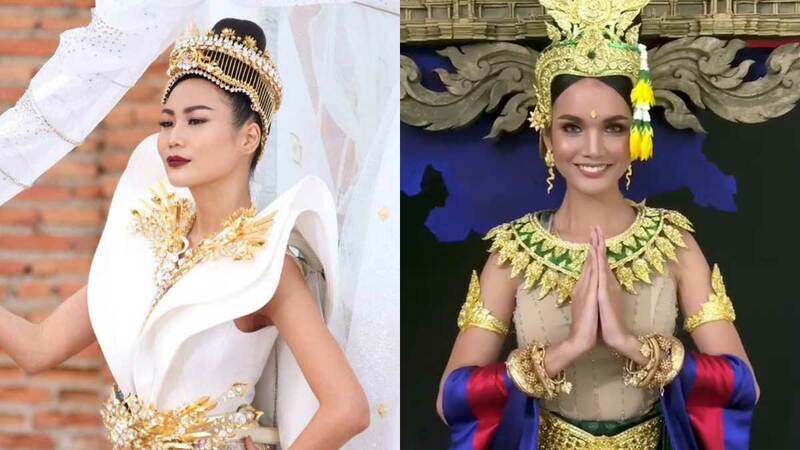 Cambodia's representative Nat Rern will be wearing a costume called "Cambodia, Kingdom of Wonder." Designed by a local fashion designer named Madam Boutique Amy, it drew inspiration from Cambodia's iconic landmark, the Angkor Wat temple. Malaysia's Jane Teoh will be wearing her "Bangau Perahu" costume. Her Instagram post read, "Woohoo!! Finally, I get to share the details of my national costume for Miss Universe. It's inspired by Bangau Perahu from Terengganu. It's iconic and rich in Malay culture, making it uniquely Malaysian. Definitely feeling strong, bold and confident donning it." Local designer Salleh Hamid took six months to finish the national costume, inspired by traditional fishing boats usually seen on the East Coast of Malaysia. Thai beauty queen Sophida Kanchanarin's national costume was aptly called "Chang, The Icon of Siam." Designed by Tee Phasux, it was said to be inspired by white elephants. According to thephuketnews.com, a white elephant is also called "chang samkhan" which means "auspicious elephant." Whit elephants are also used historically as a symbol of the Thai King's majesty. Miss Universe Vietnam held a nationwide contest for the national costume of H'Hen Niê. The top three designs will be selected through voting. So far, this Banh Mi-inspired costume is among the top picks of Vietnamese pageant fans. Other contenders are: "Pho Co," which was inspired by the city of Hoi An, and "Nu Quyen," which drew inspiration from women fighting for human rights. The announcement of the chosen costume will happen soon. Dutch model Rahima Dirkse will wear a national costume inspired by the Delft Blue porcelain. Made of handmade Thai silk, it was created by Thailand-born designer Pearl Dronkers. The hand-painted details on the skirt drew inspiration from the artworks of Dutch painter Cornelis Bouwmeester. Meanwhile, the headpiece was made using paper mache formed into a 17th-century merchant ship. Meanwhile, Binibining Pilipinas does not have an annual event to reveal the representative's national costume. One thing Filipino pageant fans can look forward to is that Catriona Gray will be wearing something massive, based on the teaser photos she uploaded on her Instagram Stories.